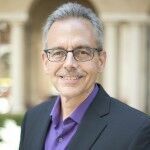 Dr. Manuel Pastor is Professor of Sociology and American Studies & Ethnicity at the University of Southern California. Pastor currently directs the Program for Environmental and Regional Equity (PERE) at USC and USC’s Center for the Study of Immigrant Integration (CSII). He holds an economics Ph.D. from the University of Massachusetts, Amherst, and is the inaugural holder of the Turpanjian Chair in Civil Society and Social Change at USC. Read more.